How to assess GDEs in a groundwater sustainability plan? What groundwater levels are necessary to support GDEs? Groundwater dependent ecosystems (GDEs) are plant and animal communities that require groundwater to meet some or all of their water needs. 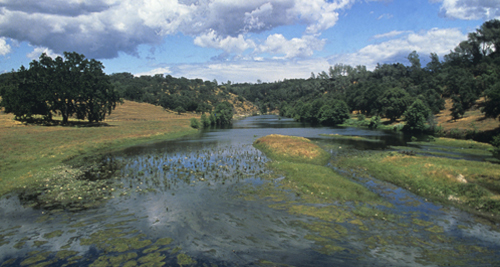 California is home to a diverse range of GDEs including palm oases in the Sonoran Desert, hot springs in the Mojave Desert, seasonal wetlands in the Central Valley, perennial riparian forests along the Sacramento and San Joaquin rivers, and estuaries along the coast and in the Delta. These ecosystems rely on groundwater in California’s semi-arid climate, especially during dry summers and periods of drought. 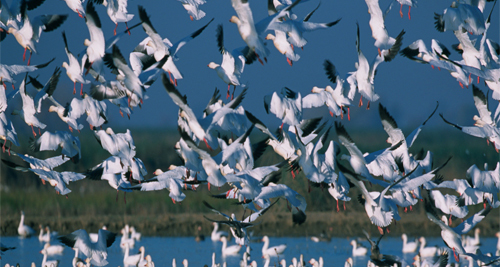 GDEs provide important benefits to California including habitat for animals, water supply, water purification, flood mitigation, erosion control, recreational opportunities and general enjoyment of California’s natural landscape. Why do GDEs matter under the SGMA? The Sustainable Groundwater Management Act (SGMA) requires that all beneficial uses of groundwater, including GDEs, be considered in groundwater sustainability plans. What GDE Tools are available? GDE maps, GDE guidance, and a plant rooting depth database to incorporate GDEs into Groundwater Sustainability Plans. Why are we concerned about SGMA? 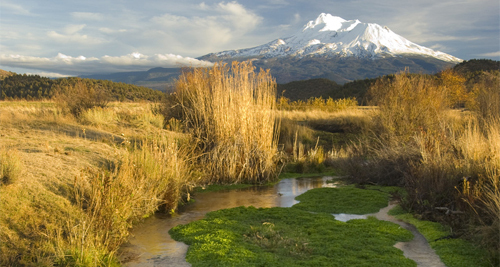 The Nature Conservancy supports sustainable groundwater management to benefit people and California’s natural environment.